It’s hard to describe why Santillana is so special. At first glance, it’s a touristy town with the usual gift shops and tourist menus hanging outside bars. But to leave it at that is to miss the point completely. Sartre described it as “the loveliest town in Spain” and you’ll quickly realise that this place has been wooing scribes since the 12th century. And don’t worry – you’ll be enchanted as well. If you wish to base yourself in Santillana, we love the 18th century Parador de Santillana de Gil Blas. Not only is the location idyllic – in the very centre of this beautifully preserved cobbled-street town – but it’s own history as a private residence and hotel is very interesting too. We love the enclosed garden which is perfect for a pre-touring breakfast coffee while you read your guide book or a wind-down drink after a busy day sight-seeing. 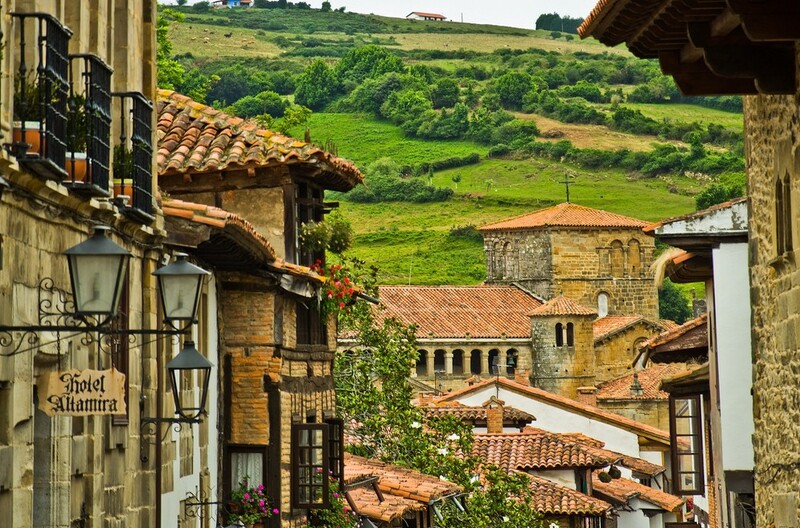 Whatever the time of day or night – Santillana’s narrow long streets ooze atmosphere. The ochre coloured walls shimmer in daylight and after nightfall those same walls seem to be infused with character and mystery. Thankfully for visitors, this is a place where pedestrians rule – and many of the walkers here are on a mission. You see, the Northern Camino de Santiago passes through the town centre. We love the atmosphere the Camino gives a village or town. 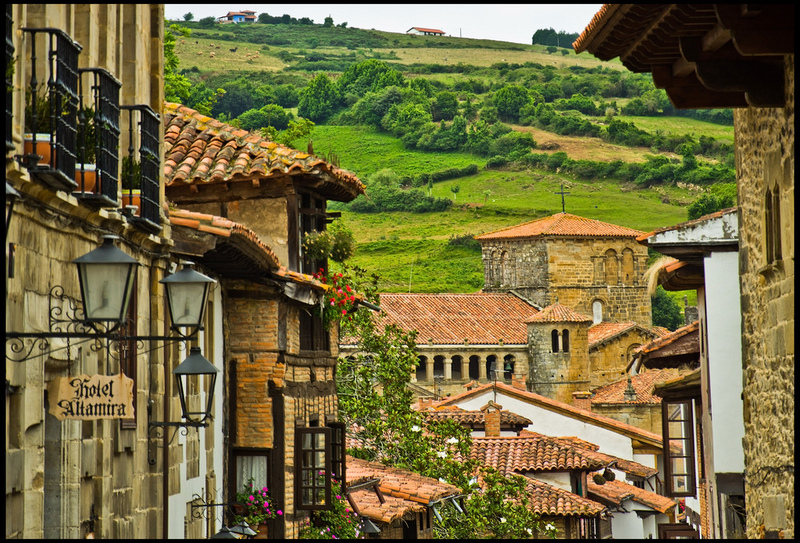 Santillana comes alive in the late afternoon when those walking have put down their backpacks and reflect on their journeys over a refreshing beer or a glass of wine. If it wasn’t for the gore-tex boots and the smartphones, you really could imagine yourself as an extra in a period drama. The gastronomy here also has an olde world feel – including the obligatory ‘merienda’ or afternoon snack consisting of a glass of dairy fresh milk and an oven-fresh slice of cake. 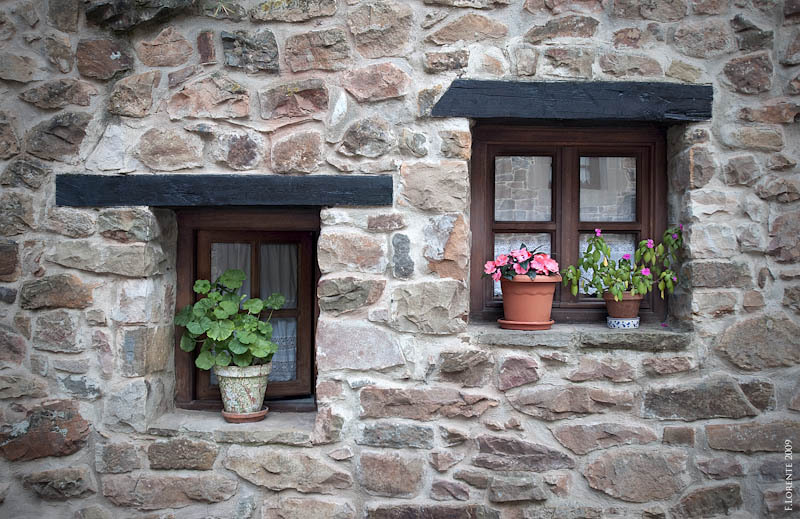 Of course, you’ll also find a bustling town where the 4,000 or so residents live in the 21st century and you’ll find them enjoying the usual Northern Spanish fare – but surprise yourself and try the sponge and milk and take yourself back to your childhood! There’s a lot to see and do here. Make sure that you take a turn around the Colegiata. The original structure pre-dates the town. What you see now is from 12th century Romanesque brilliance and has been on the must-see list of every travel writer to Spain. You’ll see why when you get there. It’s a real gem – just like its surroundings! Altamira is the name of the cave and also the name of the movie starring Antonio Banderas that tells the story of the father and daughter duo (Marcelino Sanz de Sautuola and his daughter Maria) who found the cave paintings in Altamira cave, near Santillana, in 1879. It’s the first feature film in 16 years for Hugh Hudson, the director of the Chariots of Fire – and he wasn’t already inspired by the screenplay – we’re sure when he first visited the Altamira caves, he knew this was the right project for him. It’s hard not to be moved by the art of our forefathers and Altamira isn’t called the Sistine Chapel of Pre-history for nothing. Cantabria is very proud of its pre-historic heritage and is the gatekeeper of somewhere in the region of 6,500 caves. If you are looking to travel back in time, you have to visit the caves here. For us, the most humbling are those with cave paintings. 41 of Cantabria’s caves contain cave paintings and six of these are open to the public. Altamira is the best known of these and is described by the World Heritage Convention as offering “masterpieces of creative genius and humanity’s earliest accomplished art”. For conservation purposes, an exact replica of the cave was built beside the cave in 2001 and this is what most visitors see. However, five of those people waiting to see the replica are pulled from the queue thanks to a lottery system (currently in operation on Friday mornings) and these lucky five are offered the opportunity to visit the original cave. But if you don’t fancy your odds, you can see some of the other cave paintings – read our blogpost detailing each of the caves here. We always recommend visiting Altamira and one of the smaller caves. We love the two side-by-side caves at nearby Puente Viesgo where it’s possible to determine how homo neanderthal and homo sapiens lived, fought, hunted and dressed themselves. See Dr Brian Cox explain the importance of the caves in his BBC 2 programme. You might want to travel back in time but that doesn’t mean you can’t do urban. Although Cantabria’s capital city, Santander is a modern and forward looking place in many ways, you’ll still find many of the old traditions are proudly maintained. We recommend you start in the food market beside the town hall which has hardly changed since the day it first opened in 1904. 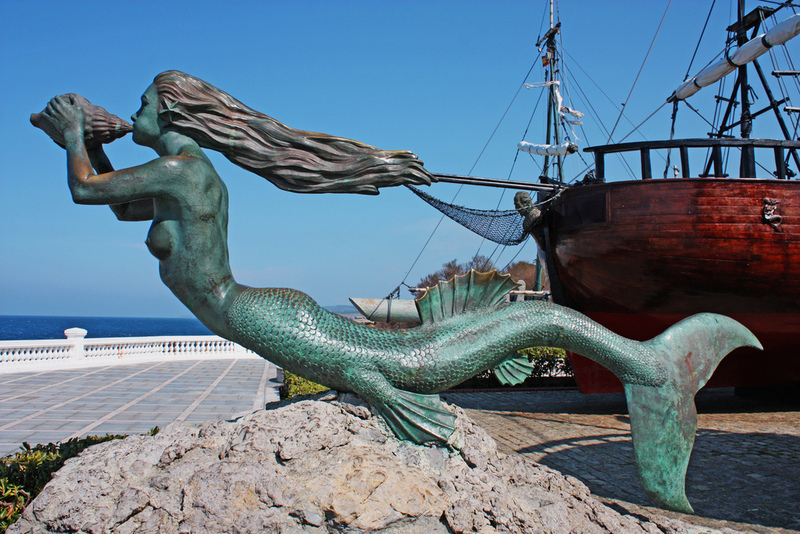 After you’ve had you fix there, walk along Paseo de Pereda and pop into the wonderful Museum of Prehistory in Santander which is located beside the Mercado del Este – another charming market with pleasant cafes and gift shops. Keep an eye out for faded signs nearby the market that signal the maritime trade that existed between Santander and the Americas in the 19th century. Walk down to Puertochico where you you might find a classic ship docking – we’ve just had the Nao Victoria, that circumnavigated the world, in the bay recently. And if you look out into the bay – you can often see the old fixed-seat rowing boats called trainers which are prevalent on the Northern coast of Spain. These were traditionally used for fishing but today you’ll see them slicing through the bay as they prepare to compete. Enjoy a drink at one of the many cafes and bars in Puertochico and observe the many art–deco and modernist buildings or continue to the Magdalena Palace which was the summer home for King Alfonso XIII and his Scottish born wife Victoria. If the location looks familiar, that’s because you were probably watching ‘Gran Hotel’ on Sky Arts. After enjoying the palace grounds, carry on down to the Sardinero beach where you’ll see the belle-epoque look is still very much in vogue. 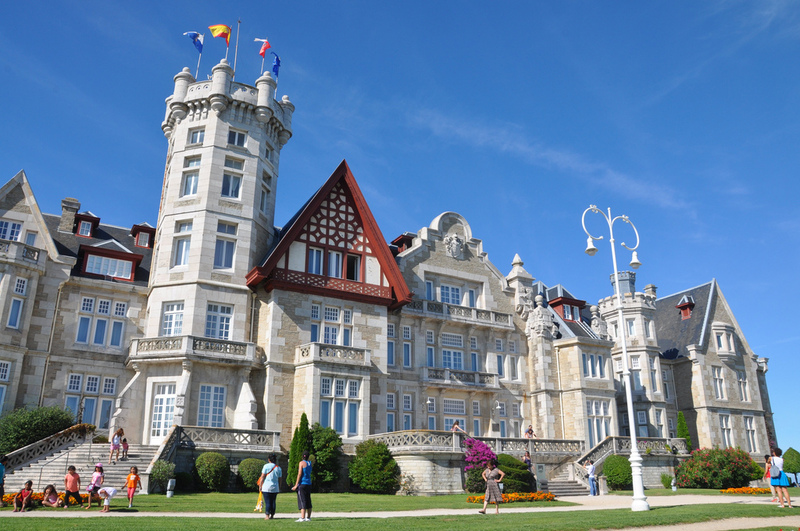 We recommend you check out Santander resident Pamela Cahill’s excellent blog on Santander where you’ll find lots of well-researched background reading on the city’s architecture including the Magdalena Palace, Paseo de Pereda and the Esperanza Market. As well as lots of her original photography. By now, you’ve time travelled to a cave, to a small town and to a city. Perhaps you want to see how a tightly-knit community lived? We think you should seek out Barcena Mayor for a ramble in the countryside followed by a long lazy lunch. This stunning village or hamlet really is the kind of place we’d like to go to for a complete “time-out”. It’s the kind of dreamy location that seems a bit cut off from the rest of the work – somewhere perfect for a writing retreat or if you’d just won the lottery and needed somewhere quiet to be and just think without any intrusion. 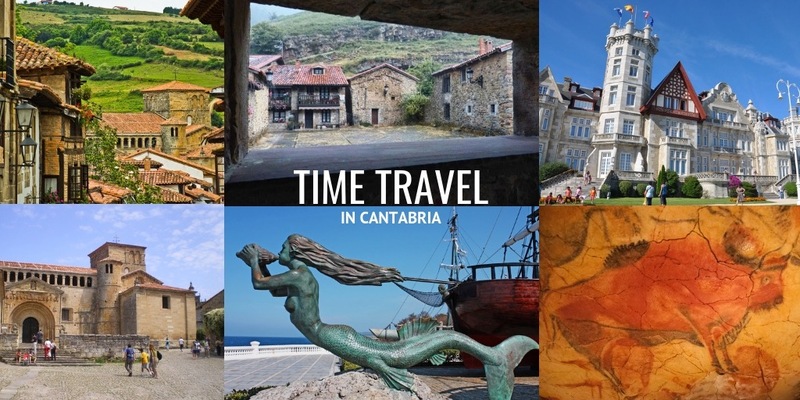 Want to read more about Cantabria? Check out What to Eat in Cantabria, Top Museums in Cantabria and all our other blogposts on the region here. You can arrive into the capital, Santander by ferry (from the UK & Ireland), plane, train, bus or car. 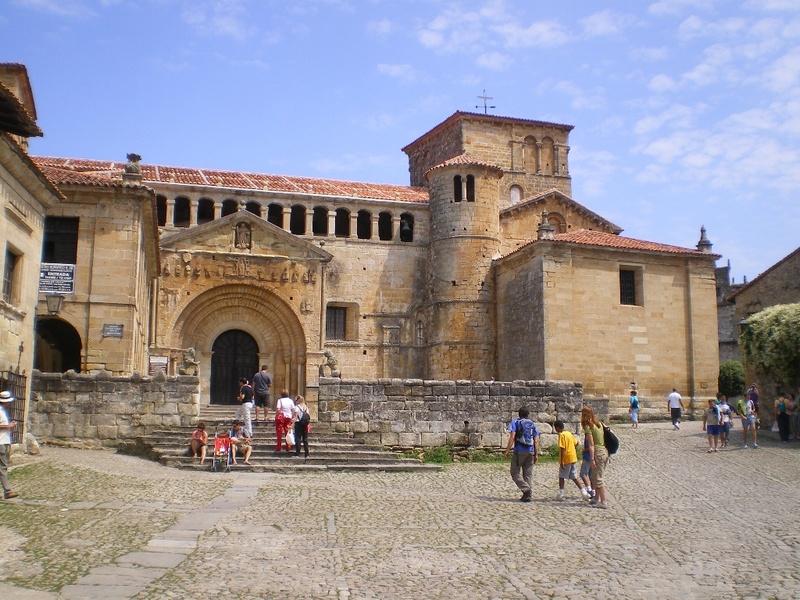 Santillana del Mar is just 26km from Santander – you can take the bus, drive or walk the Camino de Santiago pathways. Puente Viesgo is 23 km from Santillana (or 40km from Santander) – you’ll need to drive to get to the caves which are in the hills above the town. Barcena Mayor is located 55 km from Santillana (70km from Santander). You’ll definitely need a car to get here. You can pick up a car rental at Santander’s Seve Ballesteros Airport or at the train station in the city centre. Posted in Accommodation, Camino de Santiago, Cantabria, Caves, Green Spain, Museums & Galleries, Paradores, Santander and tagged Altamira, Antonio Banderas, Barcena Mayor, Camino de Santiago, Cantabria, cave art, caves, Colegiata, Eva Garcia Saenz, foodie, gastronomy, Hugh Hudson, Magdalena Palace, Marcelino Sanz de Sautuola, Museums & Galleries, Neanderthal, Parador, Paseo de Pereda, pre-history, Puertochico, Santander, Santillana del Mar, time travel, UNESCO, World Heritage site.